Life is a continuous learning process and no one is considered a master of life. Life can bring joy, happiness, glory, pain, frustation and desperation but it also gives us hope, aspiration and makes us stronger. We discover our strengths and weaknesses, realize our mistakes, change the way how we handle circumstances and continue learning as life goes on. 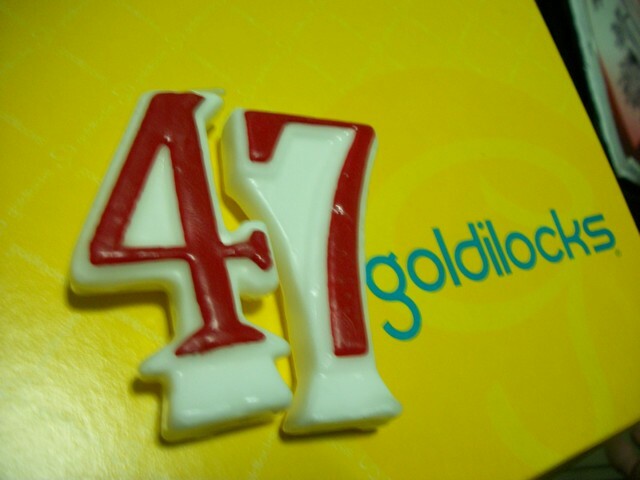 I just turned 47 years old yesterday, January 4, 2013. Yes you read it right; I am now just three years away to being a golden girl lol. I am proud to have reached the prime of my life with no regrets but full of contentment and happiness embracing what life has endowed me with. Let me share you the powerful life wisdoms and lessons I’ve learned all throughout these years. Hoping you’ll find it beneficial as you travel your life’s journey. Take lots of family pictures especially the growing up stages of your children, keep an album, or a back up, upload or print. Time flies so swiftly, children grow up fast, family pictures are great memorabilia to pass on to generations. It would be easier to trace the family tree especially if every picture has a caption. No matter how rich you are, you cannot buy respect, it is earned. Real and true friends can only be counted by your fingers. You cannot please everybody in this world; expect people who will not agree with you. People who really love and care will still care and be at your side whether they agree with you or not. Successful marriages and relationships are not based on the length of time spent but on how it was built. There are many people who are only user-friendly, they will just use you to reach success or for personal vested interest. Good health means good life. Nobody’s perfect, we all make mistakes, welcome a second chance. If you dwell on past mistakes you will get depressed, move on. We do not need to have much money to be happy. Know what you want. If you don’t ask and work for it, you won’t receive. Jealousy is a useless emotion, it ruins the mind and relationship. Do not pretend that you know everything; it is okay to ask questions. Don’t listen to anyone who tells you “you’re missing out” by not going somewhere or doing something. You’re only missing out if you believe you’re missing out. It’s OK to complain sometimes but don’t make it a habit. A simple thank you will make a lot of difference, learn how to show gratitude. Stop depending on other people, do your best and achieve success without clinging on to others. It is either you make good things happen or you make bad things happen. Nothing more, nothing less. Don’t fear the foes that attack you but the fake friend that hugs you. Count your blessings, say a daily prayer, and give thanks. Final words: Thank you very much to all who greeted me, I feel loved and blessed to have received over a hundred of greetings yesterday though phone calls, text messages, emails and even in my social networking accounts. It is indeed a wonderful day for me. For my birthday wishes - good health, more love, closer family ties and for my mom’s full healing. Happy Happy Birthday Sis Joy! Wishing you more love, happiness, wealth and luck! Turning a year older is a blessing because you get to do things that you have not accomplished yet, learn from your mistakes and more. Though we haven't met yet in person, I am grateful knowing you online, my tukayo... Belated Happy Birthday!